Allison is the Founder and President of Above & Beyond Senior Services. She is a licensed occupational therapist in the State of Minnesota. She received her Bachelor’s Degree in Biology, Certificate in Gerontology, Minor in Psychology, and Master’s in Occupational Therapy from the College of St. Scholastica in Duluth. 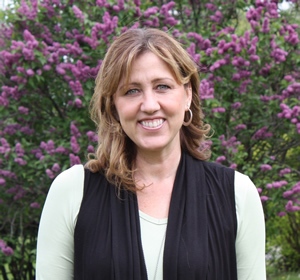 Upon graduation, Allison worked for many years as an occupational therapist and rehab manager in short-term and long-term rehabilitation in many skilled nursing facilities throughout the Minneapolis metro area. Throughout the years Allison saw a strong need for therapy services outside the traditional Medicare/insurance model. This led to the creation of Above & Beyond as a new model for senior rehabilitation therapies. An approach that incorporates prevention, strengthening, wellness, and joyful engagement in life, using both physical and occupational therapy. Allison’s geriatric areas of expertise are in dementia and memory loss and helping families grow in their understanding of the various disease processes that cause dementia. Allison was born and raised on a family farm near Moorhead, MN to a dad who was a farmer and business owner and a mom who was a baker. Throughout her childhood Allison’s parents taught her the value of hard work and respect for the wisdom of older generations. She remains a farm girl at heart and definitely gets her entrepreneurial spirit from her dad. Allison is a proud wife and mom. Along with her husband Jason, Allison has 2 wonderful boys. She loves to spend her free time with family and volunteering. In the summer the Bakke’s can be found spending time at the cabin fishing and boating. The rest of the year is spent watching her boys play soccer and basketball and sing in the Land of Lakes Choirboys. If there is any time left after all of that Allison loves to travel with her husband or entertain friends and family at home with food ranging from home-style to gourmet. 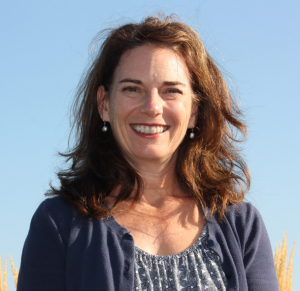 Carolyn is a physical therapist who received her Bachelor of Science degree from Washington University in St. Louis, MO in 1989. Having been involved in athletics most her young life she started her career in sports medicine and occupational health in Little Rock, Arkansas. She returned to her home state of MN and worked in an orthopedic spine clinic, helping people avoid, or rehabilitate from spinal surgeries. It was not long after that she found her heart’s desire in the field of homecare where she has focused her education and work since 1995. 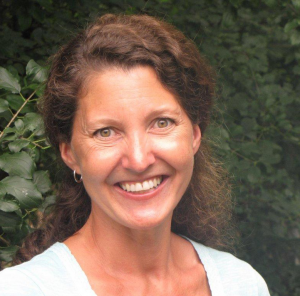 She began seeing the connections from her earlier work to her practice with the elderly, who in her words “are athletes in the sport of life!” In 2006, she became board certified as a Geriatric Clinical Specialist. Her geriatric practice expertise is in balance and fall prevention as well as strengthening and general fitness. In 2013, Carolyn became a Certified Exercise Expert for Aging Adults. Born and raised in small town Minnesota to a mother who was a nurse, and a father who was a family physician, Carolyn has a natural ability in helping others succeed and find fun and joy in their own physical endeavors. Carolyn enjoys sports adventure travel, which has led her to hang gliding in New Zealand, hiking on volcanoes in Iceland, and rappelling down waterfalls in Costa Rica. She also enjoys painting, particularly animal portraits. Janna is an occupational therapist at Above & Beyond Senior Services. She received her Master of Occupational Therapy in 1993 from TWU in Dallas, Texas. Her career began in a hospital in-patient rehabilitation setting. She then moved on to spend approximately 20 years in long term care/short-term rehabilitation and is now enjoying home health therapy. Home health has opened her eyes to the challenges that may persist after that first great hurdle of “getting back home” from a hospital or rehab setting is achieved. In her time working with Above and Beyond, Janna has enjoyed working with clients in their home settings, doing what matters most to them and helping them to function as independently and safely as possible. Janna’s specialty areas include working with neurological patients, as well as those with cognitive deficits. In 1996, she had the opportunity to participate in specialized training in Neuro-Developmental Treatment (NDT) at the Rehabilitation Institute of Chicago. NDT is a treatment method used in stroke and head-injury rehabilitation. She has also had extensive training in cognitive assessment and treatment for people who have dementia. Along with her career, Janna’s family is very important to her. She married her husband in 1991 after they both graduated from Bethel College in Arden Hills, MN. Janna enjoys walking the dog, traveling, boating, Twin’s games, music concerts and good food with her husband and two sons. She also enjoys reading and her book club. Paula Scott, is a native of Richfield, MN. After attending Luther College and then graduate school at Washington University in St. Louis for a Masters in Physical Therapy, she returned to the Twin Cities to practice physical therapy. Paula spent the first 21 years of her career in area hospitals; Methodist and University of Minnesota-Fairview Riverside. These hospital years provided a vast experience in all areas of PT including: sports medicine, cardiac rehab, orthopedics, neurology, vestibular rehabilitation, and mental health for adults and geriatrics. She had the opportunity to work with interdisciplinary teams of health care workers to treat patients in all settings of rehabilitation including intensive care, acute care, transitional care and outpatient. Through this experience Paula has an appreciation for the range of care needed from the hospital setting to the home setting. She enjoys helping individuals set rehabilitation goals for themselves and striving to achieve their goals. She enjoys working closely with families and other caregivers in this process. Paula likes to focus on body, mind and spirit with her clients as well as in her personal life. She enjoys time with her husband of 18 years and two girls by being active outdoors with skiing, biking, boating, camping, and gardening. You can also find her playing a competitive game of tennis. She places a high priority on volunteering her time at church and in the community. Suzan is a physical therapist at Above & Beyond Senior Services. She received her degree in Physical Therapy from Marquette University in Milwaukee, Wisconsin in 1991. Suzan has had experience in orthopedics, pediatrics, neurology, and geriatrics throughout her years as a physical therapist. She feels that she has found what she was meant to do in private, in-home therapy. Suzan also is a certified yoga instructor and enjoys combining her knowledge of physical therapy with yoga to help her patients succeed. She feels that she is very blessed to be able to focus and help people to live active and strong lives, as long as possible. Suzan has a special affinity for working with people with dementia, perhaps due to the fact that her mother suffered from Alzheimer’s Disease for seven years. Suzan grew up in Edina, MN with a father from the country of Turkey that was a physician, and an American mother that was a nurse anesthetist. She has two older sisters. Suzan and her family traveled many times to Turkey while she was growing up to visit family. Her family continues to live in the area, with the exception of one sister living in Utah. When not working, Suzan spends her time with her three children who are now teenagers. They keep her very busy. She also enjoys having pets and has two dogs, a cat, and a canary at home. Suzan and her children and their pets live in Oakdale, MN. When she and her children have time off they enjoy spending time at the family cabin in the summer, boating, swimming, and having bonfires. Suzan continues to enjoy yoga when she gets time, playing and listening to music, and traveling when possible. Lori is a physical therapist who earned her Bachelor of Science in Physical Therapy from the University of Tennessee Health Science Center in 1993. Prior to her graduation, she had also worked for 3 years as a physical therapy assistant. She initially got interested in the field of physical therapy as a child after watching and assisting her mother in rehab following a stroke at the young age of 38. 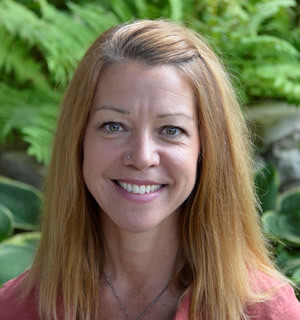 Lori has worked extensively throughout her career with neurologically and orthopedically involved clients in a variety of settings, including: acute care, post-acute care, long-term care, and inpatient/outpatient rehabilitation centers in Kansas and Tennessee. 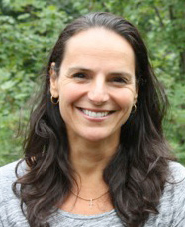 Lori is trained in Neurodevelopmental Treatment Technique and while in Germantown (a suburb of Memphis) served as the Director of Rehabilitation Services encompassing the physical, occupational, speech, and recreational therapy departments as well as prosthetics/orthotics, and pastoral care areas of care at a freestanding rehab hospital. The one constant throughout her varied career has been Lori’s passion for seniors. She strives to help them improve or maintain their mobility, function, safety, and quality of life. This means helping them be successful at the activities that are most important to them. A Southern girl at heart, born and raised in Texarkana, Arkansas, Lori moved to Memphis, TN for her first job. There, she met and married her husband, Paul. They remained in Memphis until moving with their two children (now teenagers) to Minnesota in 2004. She loves life in the “frozen north”! 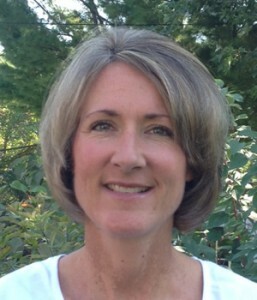 In her free time, she enjoys watching her son play tennis and her daughter play hockey and lacrosse. She is an avid reader, plays tennis, and enjoys being with her family and friends. Claudia is a licensed physical therapist at Above & Beyond Senior Services. She received her Bachelor’s degree from the University of Michigan, and Master’s of Physical Therapy from the Mayo School of Health-Related Sciences in Rochester, MN in 1996. Upon graduation, Claudia worked for eight years as a physical therapist at Hennepin County Medical Center where she had the opportunity to treat patients in all settings: rehabilitation, acute care, and outpatient/orthopedic. In addition, Claudia has worked for many skilled nursing facilities throughout the Minneapolis metro area providing short-term rehabilitation and long-term care. Claudia’s greatest satisfaction comes from the personal relationships that she builds with her clients and how much those connections help motivate them to regain or maximize their physical potential in order to maintain independence. Having had an influential grandmother living with her family growing up, Claudia has a special place in her heart for seniors. She feels enriched by each senior’s “story” and words of wisdom that only comes from years of experience. Claudia and her husband, Mark, have been married for more than fifteen years and love to travel with their three children, Caroline, Luke and Joe. In her free time Claudia enjoys being outdoors, preferably by a body of water. As a former Division I swimmer at the University of Michigan, she remains very active in other sports such as tennis, volleyball and running. Claudia is also trilingual, speaking English, Portuguese and Spanish. Shelly, an Omaha native, received her Bachelor of Science degree in Exercise Science at the University of Kansas where she also played volleyball for the Jayhawks. She earned her Master’s Degree in Physical Therapy at the University of Kansas Medical Center in 1992. She was the recipient of the PT Clinical Excellence Award for her graduating class. She ventured to Salt Lake City upon graduation taking her first job. She relocated to Minneapolis in 2003 to be closer to family. She has practiced in a variety of settings including acute care, inpatient rehabilitation, outpatient and community based neurologic rehabilitation, and skilled nursing. Her experiences and continuing education have given her an opportunity to develop strong clinical skills that are applicable in treating people at all stages of life. She is a certified Neurodevelopmental Technique (NDT) therapist and has a passion for treating persons with neurologic disorders. She recognizes the importance of family and team communication in optimizing her client’s goals and quality of life. Shelly’s passion is to provide clients the independence and function needed to stay engaged in their home and community. Shelly stays active with her 2 boys by volunteering at school, and teaching balance classes. She and her husband of 17 years enjoy spending time outdoors including hiking, gardening, and playing on the lake. 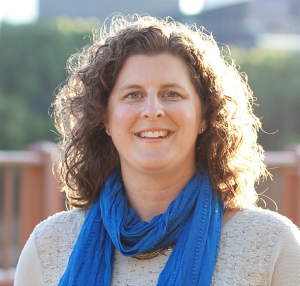 Jennifer is licensed by the MN Department of Health and certified by the National Board for Certification in Occupational Therapy who earned her Bachelor of Science degree in Occupational Therapy from The College of St Catherine’s in St. Paul in 2000. 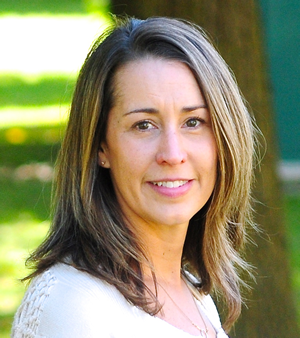 Jennifer brings 16 years of experience as an occupational therapist to Above and Beyond Services. The majority of her area of practice has been in an inpatient hospital setting with focus on neuro, spine, brain, ICU, general medical, general surgical and cardiac. She also has experiences in outpatient rehabilitation centers, transitional care facilities, memory care units, skilled nursing homes, vocational rehab and home care. Throughout these years, Jennifer has earned many certifications including Phase 1 Cardiac Rehabilitation, Comprehensive Lymphedema Management, Neurodevelopmental Technique (NDT), Physical Agent Modalities (PAMS), Continence Solutions and Alzheimer’s Association essentiALZ Plus Dementia Advanced Cares. She and her husband Tim have been married for 16 years and live in the south metro area with their 2 children. In her spare time, Jennifer enjoys watching sporting events, traveling, swimming, scrap booking, playing board and card games and socializing with friends and family. One interesting fact is she loves baseball and attends over 100 games each year between her husband’s 35 plus baseball team, son’s baseball, daughter’s fastpitch and of course taking in a couple of Twin’s games. Jennifer and her family travel around the United States every summer to attend ballparks in different states. Jennifer looks forward to helping her patients achieve their goals to live a meaningful and quality life. Her passion has always been working with the older adult and geriatric populations. Currently many of her days off are spent assisting her loving and inspirational 96 year grandmother to continue to live independently in her own home. Anne is a licensed Physical Therapist at Above & Beyond Senior Services. 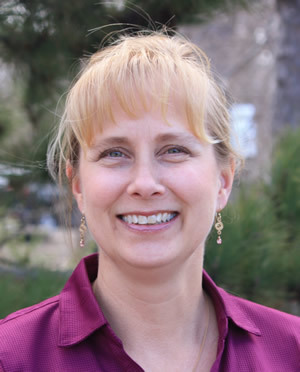 She received her Bachelor of Arts from Luther College, attended the University of Washington in Seattle as a post-baccalaureate student, then graduated with her Master’s in Physical Therapy from Mayo School of Health Sciences in Rochester, MN, in 1996. Anne started her Physical Therapy career in acute care, where she began building her expertise in complex medical situations, respiratory issues, chronic conditions, and trauma. She has worked in the Fairview-University Health System, outpatient clinics, as well as in both acute and transitional rehabilitation settings. In Monticello, MN, she helped lead a rehab team for 8 years that had the highest functional outcomes in the country. Anne prides herself on her ability to communicate well with people from a wide variety of backgrounds, those with language deficits, dementia, and with varied personality types. Anne has expertise in neurologic dysfunction and stroke, joint replacements, and, as her clients have put it, “Making people work hard without realizing it.” One of her most important goals is always to get her clients to smile! 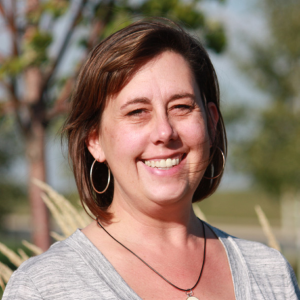 Anne also works part-time as an adjunct faculty member at Rasmussen College. She is a lab assistant in the Physical Therapist Assistant program once per quarter. Anne and her husband and two daughters live in Maple Grove, Minnesota, where they can be found on the bike trails much of the summer. Anne also enjoys her family’s lake cabin in her native state of Wisconsin, where she plays a lot of golf, but time spent kayaking and paddleboarding keeps her from losing too many golf balls. 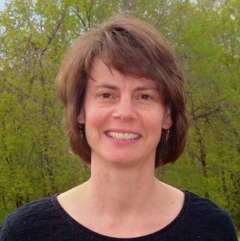 Karen is a physical therapist who received both her Bachelor’s Degree in Health Sciences (1991) and her Master’s Degree in Physical Therapy from the College of St. Scholastica in Duluth, MN (1993). Karen is from Forest Lake, MN and was always very active in competitive sports. She went on to play basketball and volleyball in college and her love of sports is what initially drew her into a career in physical therapy. Karen’s PT career includes 23 years of experience in outpatient orthopedics and although she enjoyed her time in the outpatient setting, she eventually followed her heart back to working with seniors. She is committed to treating every client with kindness and respect and feels that everyone is able to improve their strength and level of fitness at any age. Karen has enjoyed 23 years of marriage to her husband, Mike. Together, they have 4 daughters (Olivia, Natalie, Isabelle and Violet). As a family, they enjoy summer road trips to various National Parks, traveling to the Arizona desert in the winter, camping, hiking and family dinners on their patio.